If you would like to know what it’s like to cruise a thousand days with Carnival Cruise Line then ask Dennis Coleman. The 67-year old man from Baltimore has just celebrated his 1,000th day onboard a Carnival cruise ship. That’s not a thousand days in a row cruising but over a total of 139 cruises from the past 12 years. 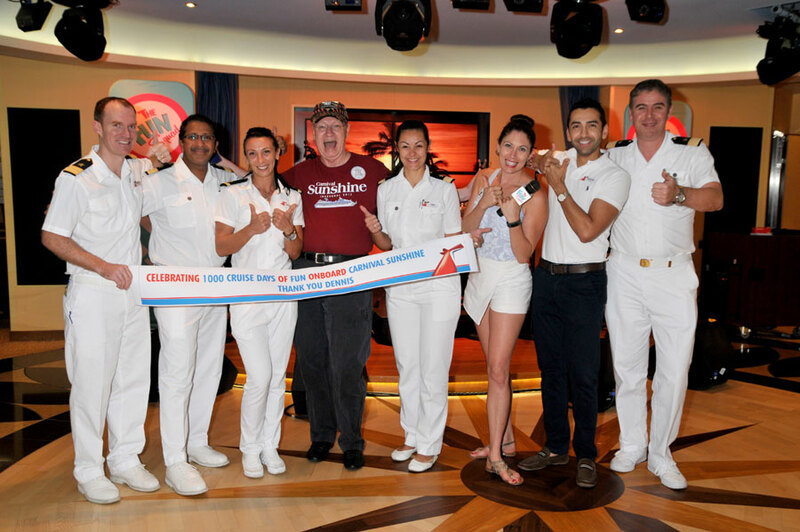 Mr Coleman is an Elite Diamond member and had a celebration to mark the major milestone onboard the Carnival Sunshine. The ship’s crew hosted a party for Mr Coleman that included several gifts presented to him including a ship model. Carnival Cruise Line President Christine Duffy also sent him a personalized message along with special VIP treatment for the rest of the cruise. Dennis is a star throughout the fleet and has become well known with the crew. No matter which Carnival ship Dennis is sailing on he’s always felt at home. Carnival Sunshine is sailing an eight-day cruise which departed Port Canaveral, Florida earlier in the week. How many cruises with Carnival are you planning? Let us know in the comments below.